A gathering of seed eaters. Northern Cardinal, American Goldfinch, and two Purple Finches crunching millet and black oil sunflower seeds on the platform feeder. I think there’s an American Tree Sparrow digging around in there too. The cardinal and the purple finches are kinda clashy, color-wise. 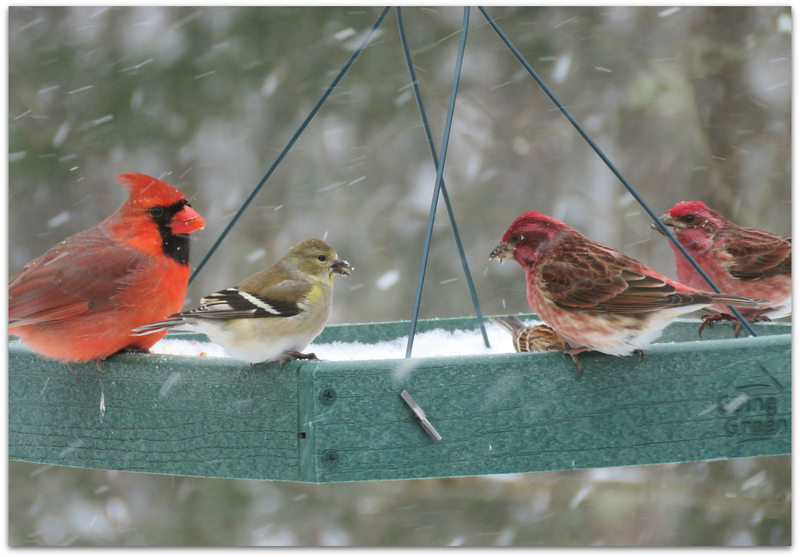 This entry was posted in Uncategorized and tagged American Goldfinch, birds, Northern Cardinal, Purple Finch on February 12, 2015 by Amy.